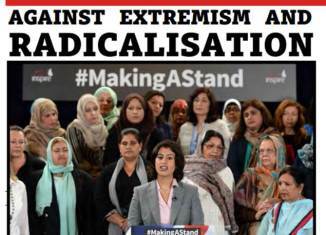 “Making A Stand” was launched in September 2014 by British Muslim women who believe in the principles of democracy, human rights, peaceful co-existence and respect for life. Roadshow are running across the UK, to raise awareness and help to stop the damage caused by extremists poisoning young minds. The campaign aims to build resilience within communities and strengthen women’s voices to challenge extremism.